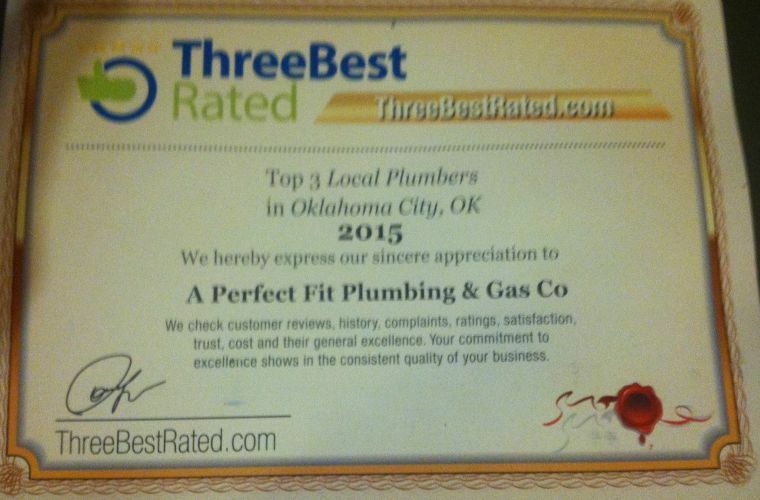 When you invite our Oklahoma City plumbers into your home, you will encounter not only expertly trained service, but Oklahoma City plumbing contractors who are trained to deliver to you a tailored and unique service experience. Are you having difficulty in deciding whether it's better to go with conventional storage water heaters in your home or spend a little more and get one of those new electric tankless water heaters? There are a lot of more efficient options in water heaters today that would be worthy of your consideration. 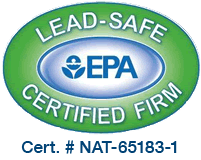 Consult our professional hot water heater experts today about these options. At "A Perfect Fit" we can help you make a decision as to whether you should upgrade your water heating system or repair the one you currently use. Our professionals have extensive knowledge and experience in the installation of all sorts of water heating systems in home and buildings of various sizes and features. 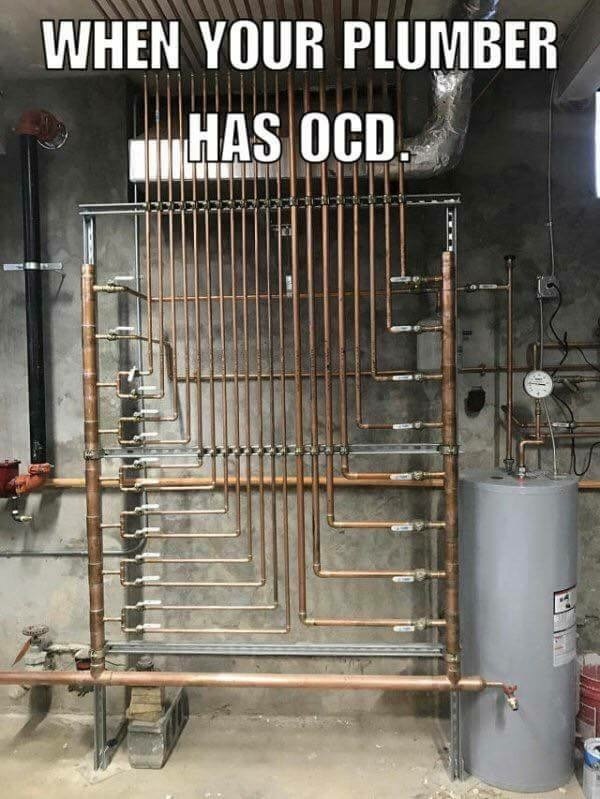 Whether you need a water heater repair, a water heater upgrade, or a new water heater installation, "A Perfect Fit" Plumbing & Gas Co. has you covered. "A Perfect Fit" is owned and operated by Joseph Bessett. Joe has been in the plumbing industry since 1983 and has a reputation of quality, fairness and a passion for his work. 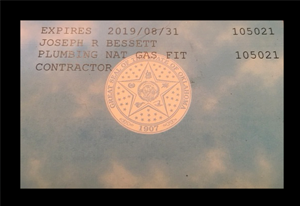 Joe is an Oklahoma State Licensed Plumbing and Natural Gas Contractor and holds many certifications on the most current Plumbing & Gas codes and techniques. 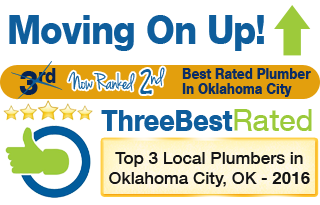 With over 28 years of experience in the plumbing industry and 24 Hour Emergency Service available, there's no reason why you shouldn't consider us for you Oklahoma City plumbing needs. All of our material is supplied from businesses dedicated to the professional contractor, which means quality products at a fair price, professionally installed and your guaranteed peace of mind. Our trucks are Rolling Warehouses equipped with all the necessary tools and equipment to ensure that you plumbing emergency or plumbing problem can be properly solved the first time. Don't pay for trial and error! With experience, honesty and integrity, we are able to give our customers the best service possible with full service from kitchen remodels to bath remodels, gas piping water heaters, drain camera inspection and drain cleaning. If you are looking for a professional Oklahoma City plumbing company, then please call us today at 405-802-7769 or complete our online request form.